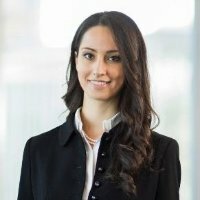 Kateryna Kharovska works as an equities research analyst at Credit Suisse covering insurance and diversified financial companies. Previously, Kateryna held research associate positions at Shaw and Partners as well as Baillieu Holst where she focused on diversified financials and resource sectors. Kateryna is a founding member and NSW Representative of the Australia-Ukraine Chamber of Commerce. Outside of work, Kateryna dedicates her time to assisting with humanitarian aid initiatives to Ukraine through joint efforts with Rotary Club and Caritas.